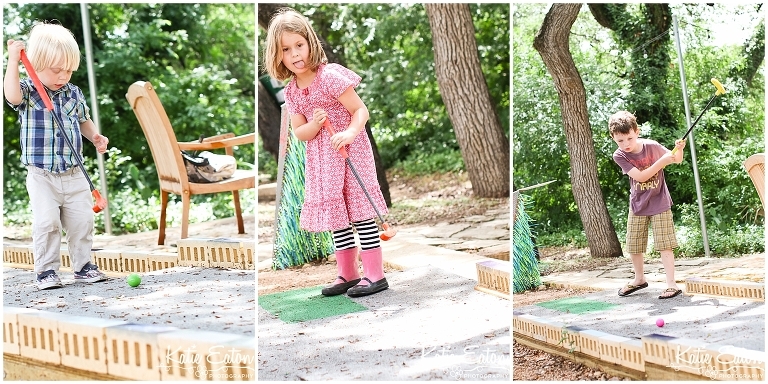 It was a different kind of miniature golf … called Art on the Green. First of all, it was at a very beautiful location! We got to walk the grounds of Laguna Gloria on the shores of Lake Austin while we made our way from hole to hole. And Second of all, all the holes were designed by Texas-based artists. Some of them were interesting, to say the least but the kids had a great time. And I love how my kiddos have their tongues out when they are really concentrating!